Businesspersons usually store expensive equipment, vehicles and other items that they use to run their businesses in warehouses. Due to the high rate of industrialization in the world today, warehouses have increased and evolved into automated centers. Distributors, manufacturers, and retailers are using cutting-edge technology to build modern warehouses. However, many warehouses usually have complex layouts and big sizes, which make them vulnerable to a variety of threats, including internal and external thefts. If you own a warehouse, securing it should be one of your top priorities, which will protect your assets, equipment, and valuable inventory from vandalism and robbery. This guide provides five essential ways that you should use to secure your warehouse without disturbing your workers. Unauthorized individuals should not be allowed into your warehouses or be able to use your equipment and appliances. It is advisable to introduce badges in the workplace to control the level of access, and even passcodes for appliance usage. 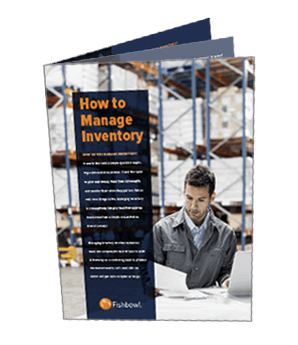 Once you introduce this system, the amount of traffic to your warehouse will decrease and you’ll always know that only authorized personnel are using your tech. This will minimize the cases of vandalism, robbery, and property abuse. You can use an advanced security system to protect your warehouse. Modern security systems can notify you when burglars invade your premises. You should connect it to your laptop or phone to help you monitor every activity from any place. Additionally, once you install a security system in your warehouse, you should inform the police. In the event of a robbery, they will receive a notification. The security of your business should be first and foremost, notes Pro-Vigil. If you want your warehouse to be secure, you must improve your business practices and culture. Your employees should behave appropriately when in the workplace. Although the culture of your business should be welcoming, every worker should strictly follow the set procedures. Your employees should feel responsible for the security of the warehouse, which will minimize internal or employee thefts. You can also use motion detection cameras to secure your warehouse. The cameras should be installed at the entry points. Once they detect a moving object, they should send a signal to the control room. They will also help in deterring thieves. If your compound is large, you need to utilize perimeter protection, according to Optex. Fencing your compound will limit the number of people getting into your warehouse. Also, you should install a secure gate and put security signs near all the entry points. Once intruders realize that your property is under CCTV surveillance, they will keep off. Lastly, apart from installing a state-of-the-art security system, you can hire experienced security guards to protect your warehouse. The security personnel will monitor your property on a 24/7 basis.